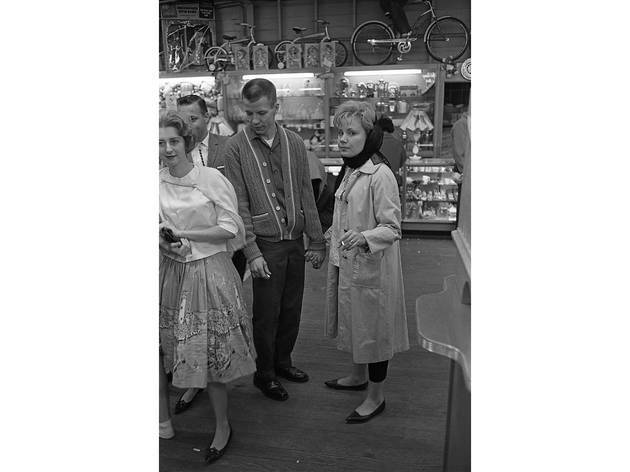 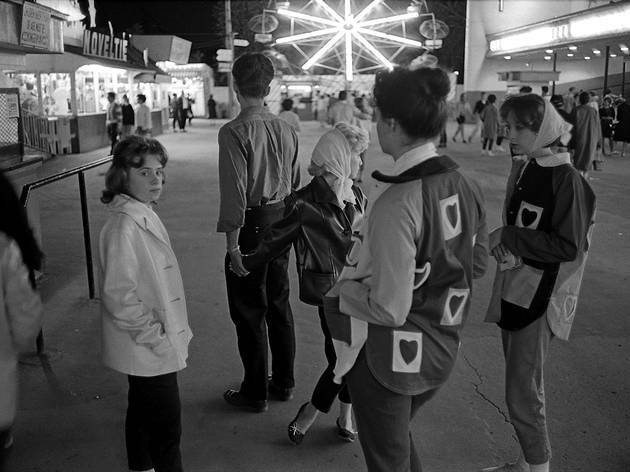 Photograph: Laird A. Scott/Flickr Teenagers walk the midway at Riverview Amusement Park on May 25, 1962. 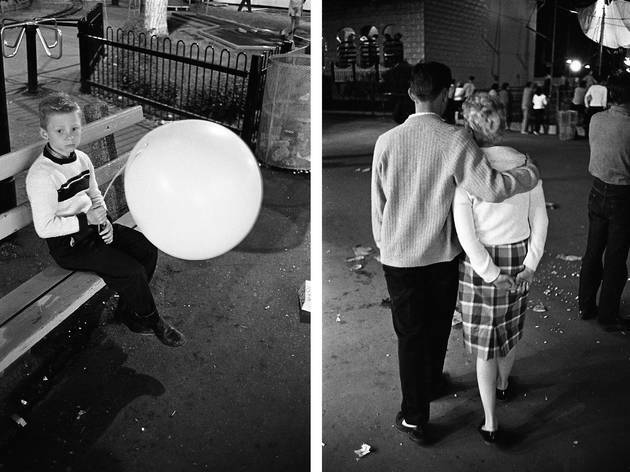 Photograph: Laird A. Scott/Flickr A couple flirts at the Riverview Amusement Park on May 25, 1962. 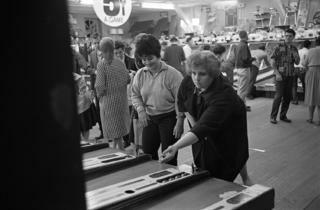 Photograph: Laird A. Scott/Flickr The skee ball game at Riverview Amusement Park on May 25, 1962. 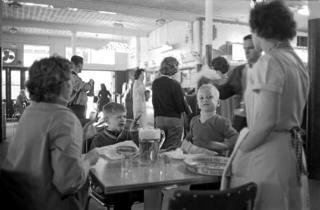 Photograph: Laird A. Scott/Flickr A group drinks pitchers of beer at the Riverview restaurant in the Riverview Amusement Park on May 25, 1962. 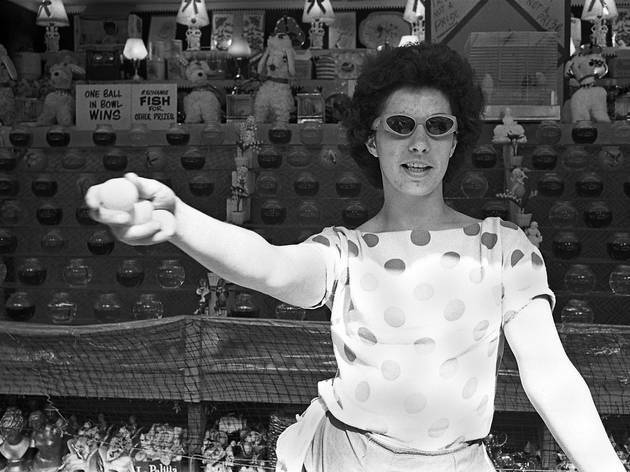 Photograph: Laird A. Scott/Flickr A young woman works the goldfish game at Riverview Amusement Park on May 25, 1962. 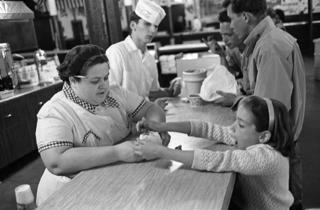 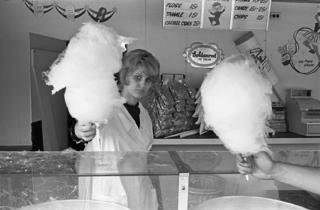 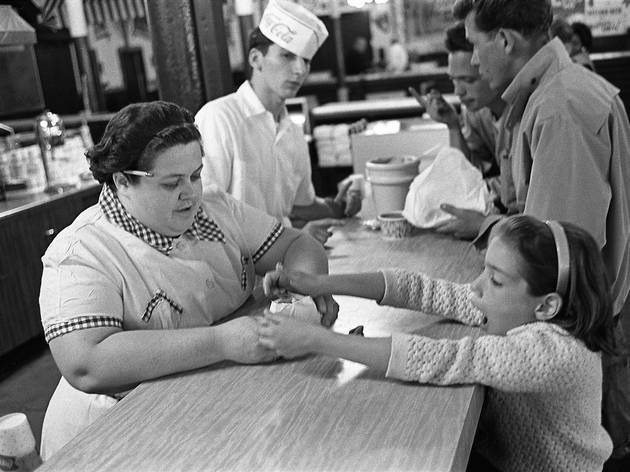 Photograph: Laird A. Scott/Flickr A young woman serves cotton candy at the Riverview Amusement Park on May 25, 1962. 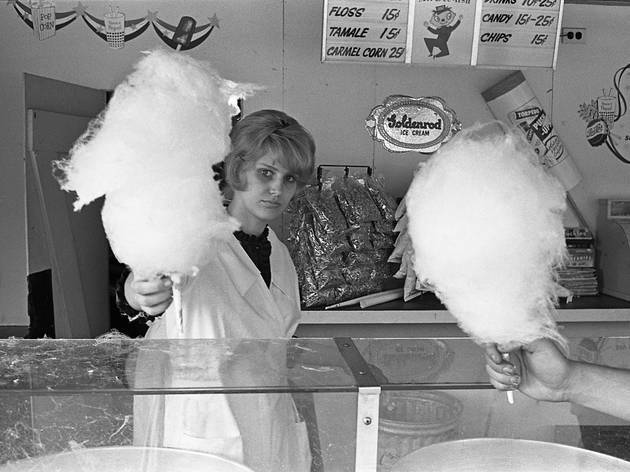 Photograph: Laird A. Scott/Flickr A family enjoys cotton candy and chips at the Riverview Amusement Park on May 25, 1962. 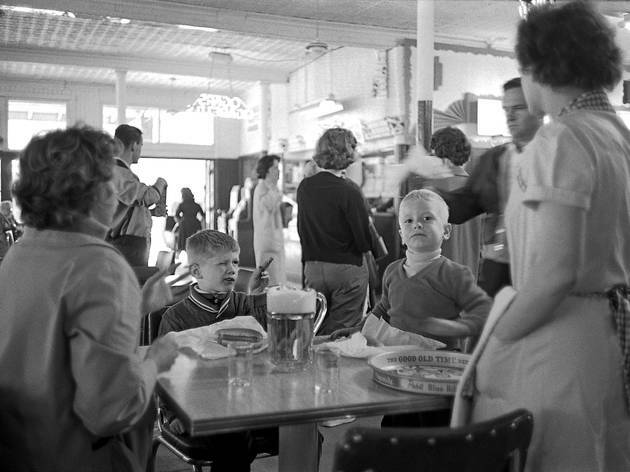 Photograph: Laird A. Scott/Flickr A family eats hot dogs and drinks beer at the Riverview restaurant in the Riverview Amusement Park on May 25, 1962. 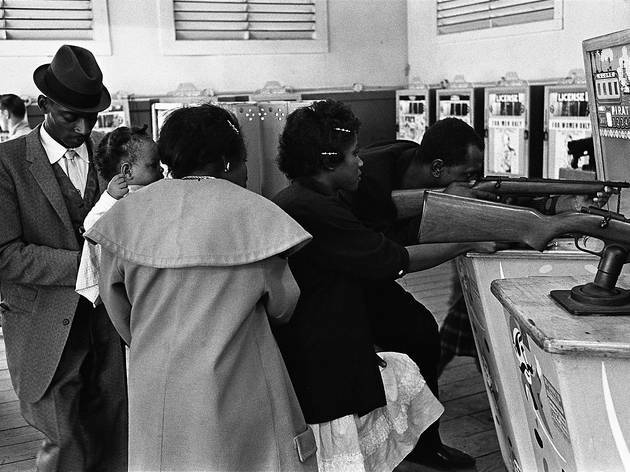 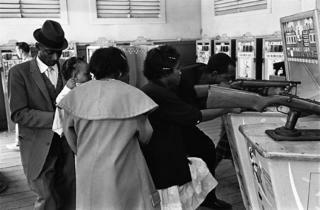 Photograph: Laird A. Scott/Flickr People play the pirate gun game at Riverview Amusement Park on May 25, 1962. 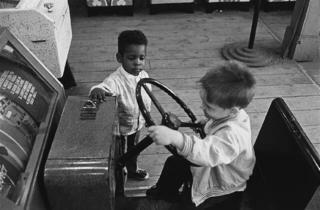 Photograph: Laird A. Scott/Flickr Kids play a driving game at the Riverview Amusement Park on May 25, 1962. 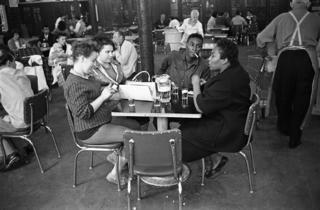 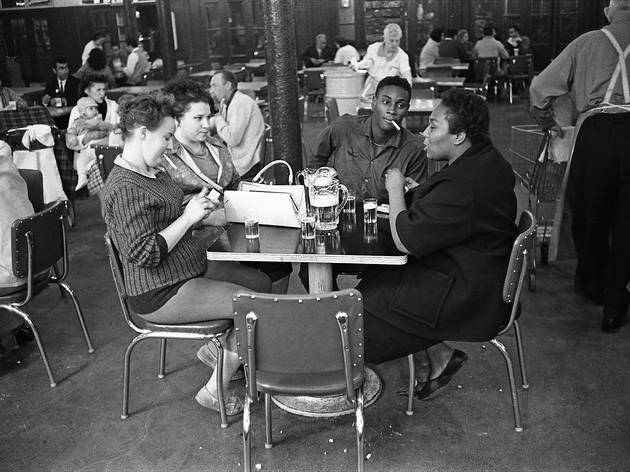 Photograph: Laird A. Scott/Flickr Workers at the Riverview restaurant in the Riverview Amusement Park on May 25, 1962. 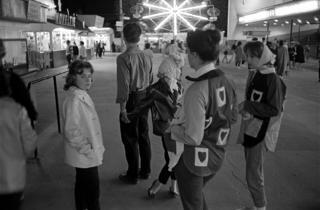 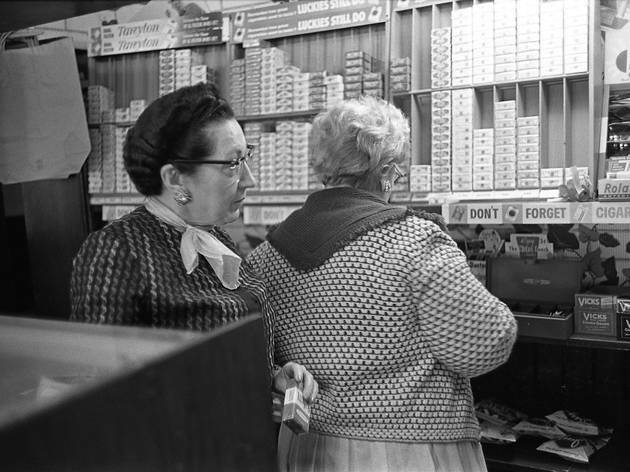 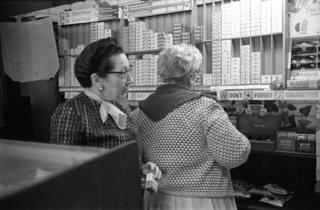 Photograph: Laird A. Scott/Flickr Women sell cigarettes at the Riverview Amusement Park on May 25, 1962. 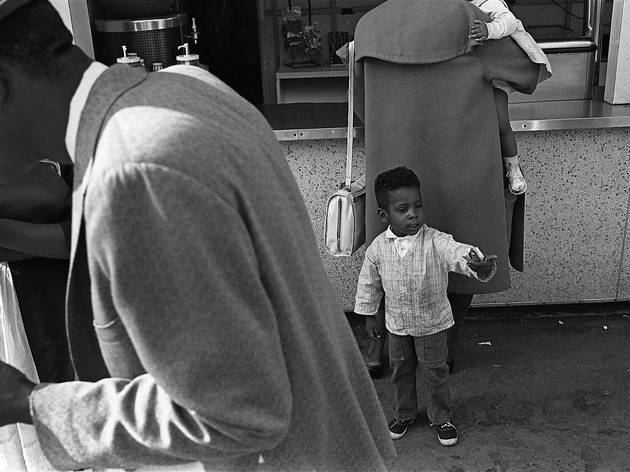 Photograph: Laird A. Scott/Flickr A young boy eats a hot dog at Riverview Amusement Park on May 25, 1962. 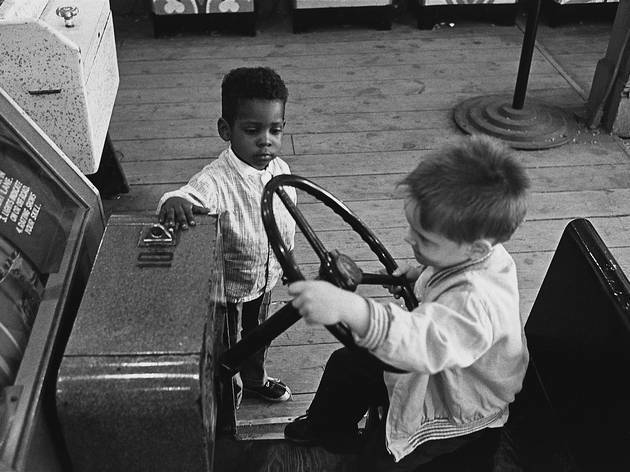 Photograph: Laird A. Scott/Flickr Patrons explore Riverview Amusement Park on May 25, 1962. 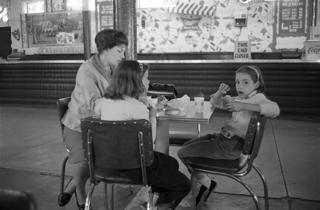 Photograph: Laird A. Scott/Flickr A family eats a meal at the Riverview restaurant in the Riverview Amusement Park on May 25, 1962. 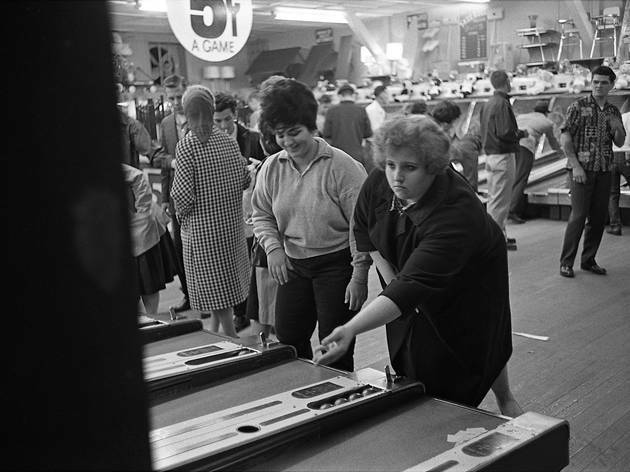 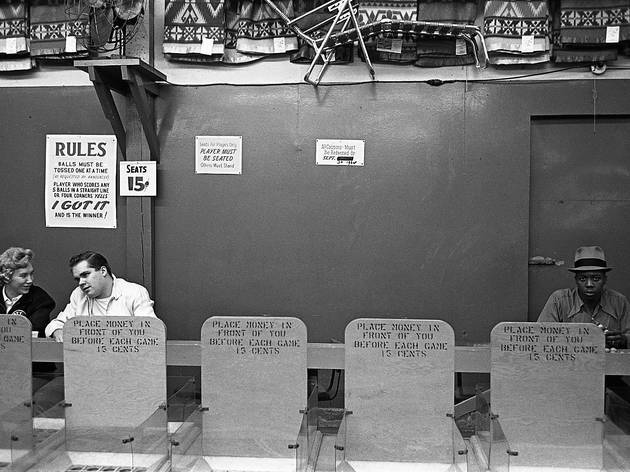 Photograph: Laird A. Scott/Flickr The game room at Riverview Amusement Park on May 25, 1962. 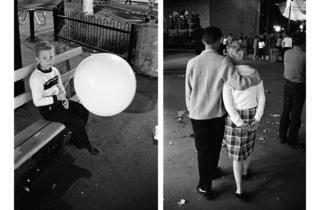 Photograph: Laird A. Scott/Flickr A couple holds hands at the Riverview Amusement Park on May 25, 1962. 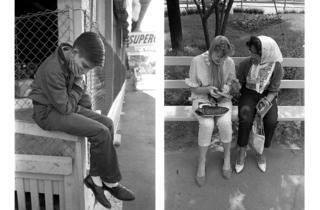 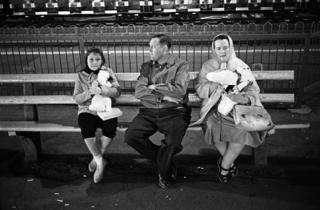 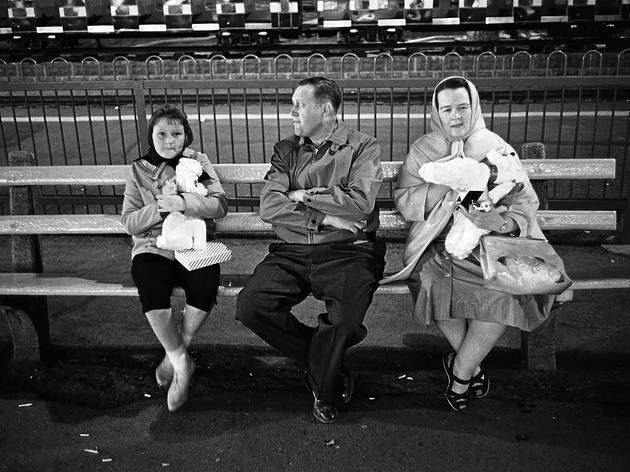 Photograph: Laird A. Scott/Flickr A family sits with their game prizes at the Riverview Amusement Park on May 25, 1962. 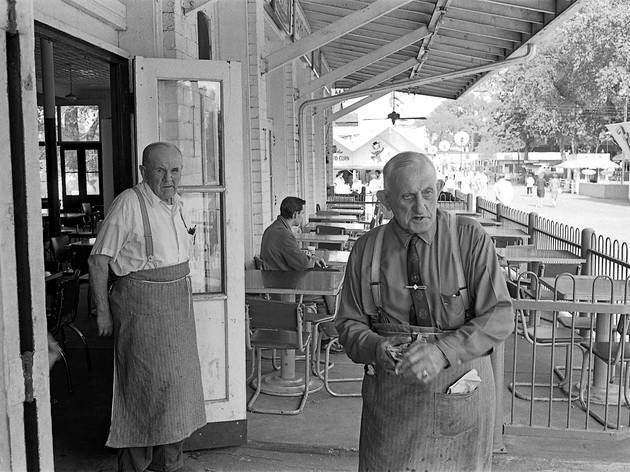 Photograph: Laird A. Scott/Flickr Riverview restaurant at the Riverview Amusement Park on May 25, 1962. 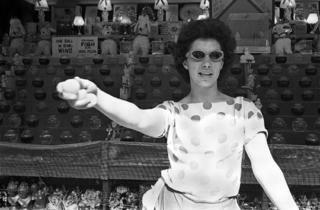 Photograph: Laird A. Scott/Flickr Outside of Alladin's Castle at the Riverview Amusement Park on May 25, 1962. 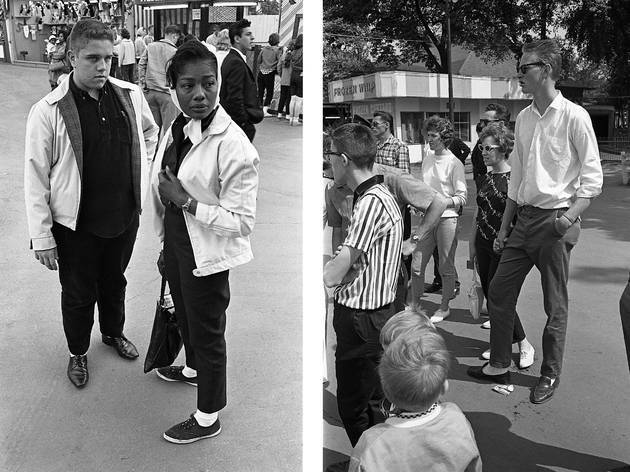 These fascinating photos of Chicago's Riverview Amusement Park were taken over the course of a single day, on May 25, 1962, by Chicago photographer Laird A. Scott. 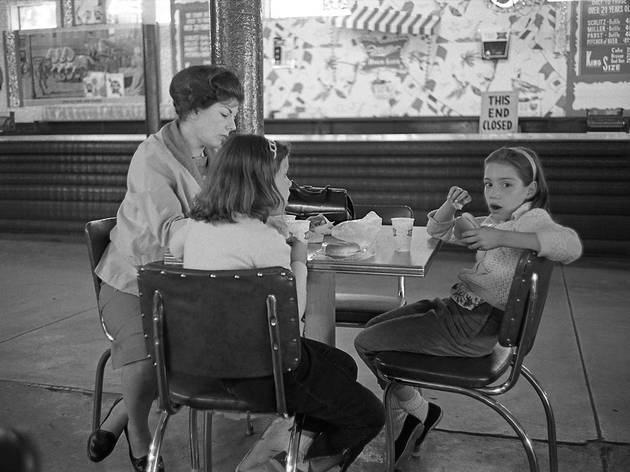 Riverview closed in 1967 and was immediately demolished, but it remains in the hearts and minds of the Chicagoans who were lucky enough to visit. 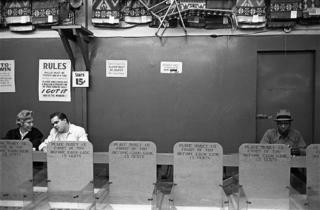 The amusement park once occupied 74 acres near Belmont and Western Avenues, and boasted one of the most feared roller coasters, the Bobs, which reached speeds of nearly 90 miles per hour and featured a 90-foot drop. 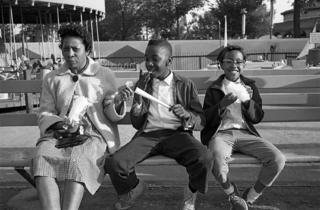 The entrance fee to the park was nominal and attractions were paid for separately, so it was a great place for families and working-class patrons to congregate. 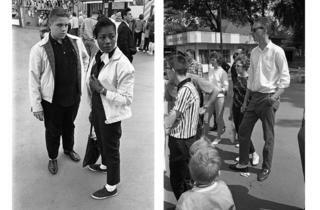 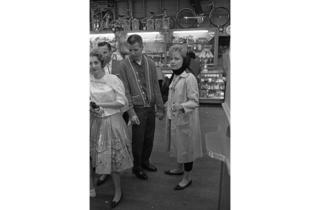 A quick image search can bring up lots of photos of the rides and a few people at Riverview, but what's fascinating about these images is their slice-of-life quality—you are transported back to one brisk spring day in 1962. 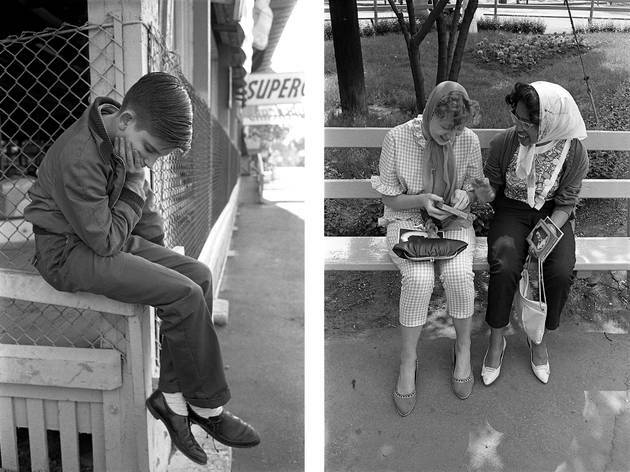 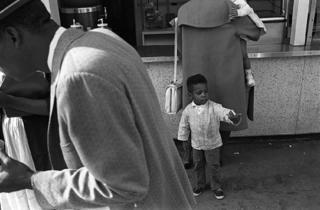 "Back then, people were comfortable with strange photographers taking their photos," Scott says. 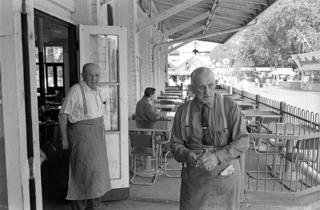 "Most of the Riverview patrons were jovial and friendly to me and to each other. 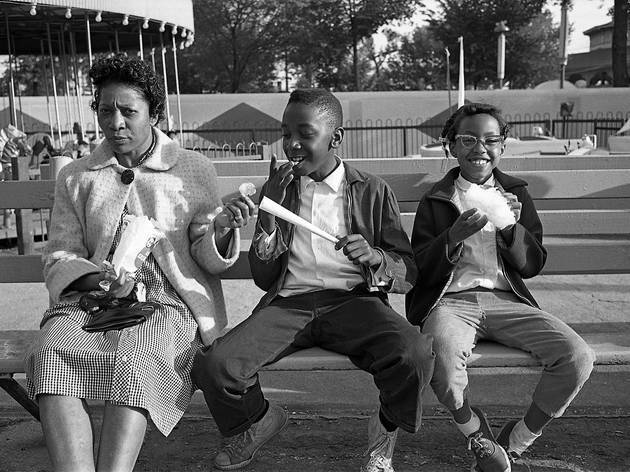 I saw a mixture of happy souls sharing good times."